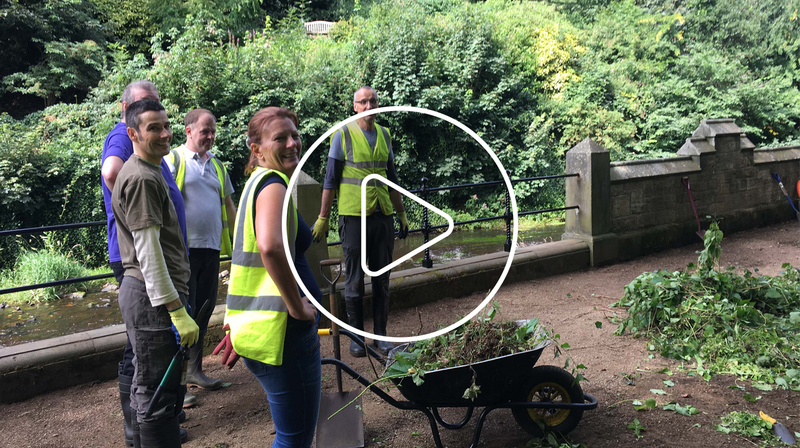 For the last three years our Account Management team have been taking a day out of the office to volunteer with the Water of Leith Conservation Trust. This year, twelve of our team donned their wellies to pick up litter, clean up the river, restore historic railings and preserve wild plant life. Check out our video to find out how they got on. As you can see from the picture below, the team were able to collect over seven bags of non-compostable rubbish from the river and its banks, as well as some traffic cones, a broken life-ring and a rather rusty bike. As a water supplier for customers across the UK, it’s no surprise that water is important to us, but this annual volunteering tradition was born out of a desire to help the environment and water systems in our own community. The Water of Leith Conservation Trust does amazing work all year round and it’s great to be able to thank them by getting involved and helping out.